Specialists agree that 85% of customer-business relationships will be through technology within the next two years. And a big part of these relationships will take place with the help of Messenger marketing, a way for businesses to not only provide lightning-fast customer service but also drive sales. Those that want to be ahead, should be perfecting their messenger marketing strategy right now. And Facebook Messenger is one of the largest messaging platforms out there, with more than 1.3 billion monthly users and it allows business owners to reach out to consumers on a large scale through advertisements, then continue to interact on an individual level. Messenger marketing is an increasingly popular way to communicate with prospects, leads, and customers. So what does that mean? Very simply, it means when you send your customers a message on Facebook Messenger, more people will open, read, and interact with your messages. With Messenger Marketing, you can do a lot of things like sending beautiful messages that come complete with clickable call-to-action buttons, GIFs, galleries, and more. Basically, Messenger Marketing combines the instant delivery & attention of SMS with the attractiveness and automation power of email. Messenger also feels more personal than email, but less invasive than SMS striking the perfect balance for businesses looking to communicate with customers. What can you do with Messenger marketing? The beauty of Messenger Marketing is that you can still do all the things you’re used to doing in your marketing efforts it just makes everything easier and more effective. You can send customers content, sell them products, ask for feedback, and more all within the native messenger app. Many e-commerce companies are using messenger marketing to send transactional messages like purchase confirmations, letting people know when their product has shipped, and so on. Of course, you’re already able to do all of this through email. But email feels cold and impersonal, and even the best email marketing departments in the world still get open rates under 30%. In contrast, Facebook messages provide your customers with the personal, one-on-one interactions they want, with open rates currently hovering around 85%. And if they have a question, all they have to do is reply to your message and someone from your company will be able to respond instantly. And it gives you all the automation you could want, but in a way that’s also private and personal. As a result, it provides less friction for the end user, helping you to develop a deeper relationship with your customers. Why use Messenger for your business? Customer service becomes more streamlined and personalized for the customer and there are ample opportunities for you to increase your revenue. Actually, about 56% of consumers prefer to contact businesses over messages rather than calling a call center, due to the fact that it is faster. This helps you get back to more pressing matters while impressing and retaining customers. According to research, 53% of people prefer shopping from businesses that they can message directly. This is why it is necessary to not only have a Facebook account but also be active since the longer the response, the more frustrated the customers will get. 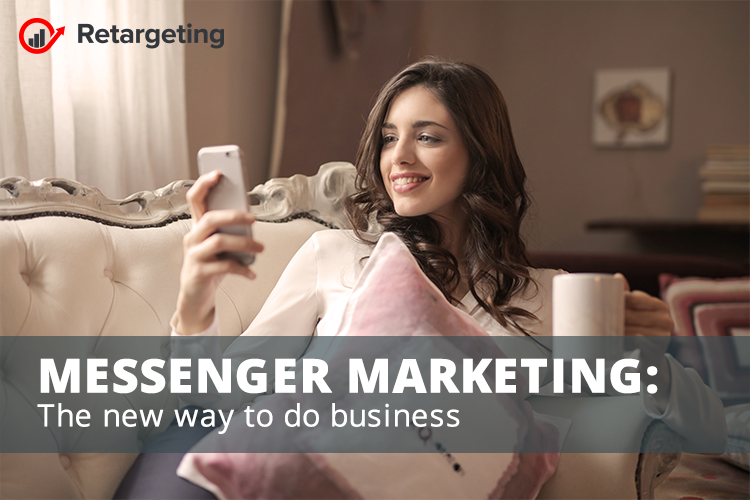 Using Facebook Messenger for marketing is another great opportunity for businesses looking to get the most out of their advertising budget. Focus on creating friendly and natural conversations that mention different reasons or benefits why users should continue communicating with your business on Messenger. You’ll be able to set up chatbots that automatically send a message based on the last interaction the person had with your company whether it was watching a video, making a purchase, viewing a certain product page on your website, you name it. When someone needs to contact you, they won’t go to your website. Instead, they’ll send you a Facebook message. Messenger will become your single point of interaction with customers, the one place where they can easily reach you anytime they have a question, need help, or simply want to make a purchase. Everyone expects Messenger Marketing to continue its explosive growth. It’s an ideal platform for conversation that people already use and trust. And it’s got some great benefits for companies who want to keep in touch with their customers. Soon businesses will start sending customers directly to Messenger for communication, preferring it over phone calls and email, because that’s where the customer data will be stored. And because Messenger marketing makes it so easy to follow up with the people who have chatted with you, it will help improve closing rates and provide better customer service.